Bhubaneswar: “Biju Janata Dal (BJD) government is the symbol of faith of 4.5 crore people of Odisha,” said Chief Minister Naveen Patnaik on Wednesday. The CM said this while attending the ruling party’s Jansampark Padayatra in Ward No 9 of Bhubaneswar North assembly constituency. “The Jansampark Padayatra launched on October 2 is going on smoothly across the state. I would like to thank all my party workers for this,” Naveen said while addressing the gathering. “We believe in action, not in word. I had earlier assured you four things namely food security, house, health and social security. As per the guidelines of the Centre, many poor people were left out of the benefits, which hurt me. 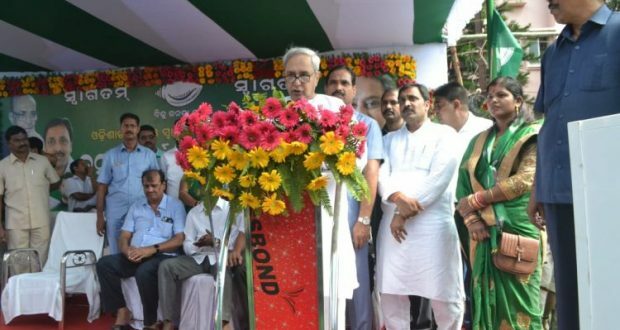 With your money, Odisha people’s money, we started Biju Pucca Ghar Yojana, Biju Swasthya Kalyan Yojana (BSKY), Odisha Food Security Scheme, Madhu Babu Pension scheme and other social security schemes,” the BJD supremo said. He said the Biju Swasthya Kalyan Yojana is a historic step. People from both BPL and APL categories can avail benefits from it. BSKY is far better than Ayushman Bharat Yojana of Centre, he said. “Disease not exclusively affects people having BPL card and mishap does not happen to people with this card. What those people will do who do not have BPL card. The state government is always by their side. However, only BPL card holders will avail benefits of Ayushman Bharat,” Naveen further stated. “Biju Swastha Kalyan Yojana is for all. Even Odia people living outside the state can avail the benefit, Naveen said.